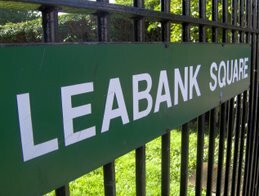 Leabank Square: Flytipping Hits Leabank Square Again!! No worries mate! Anytime we can clear this rubbish up is a good time for me! Sóna thanks for getting rid of that rubbish. I saw you working in the dark and cold. Next time give us a shout and we'll come down and give you a hand. I saw that the council also picked up some of the stuff that was dumped after you 2 cleaned up. How come they come sometimes, and don't others? Do we just have to hope that one of their crew don't actually realise that this isn't council property? I get so many different strories on the councils phone, and I don't want to jinx it by saying too much in case they flag up Leabank forever. Still thanks guys. While on the subject, did you ever get a reply from Jacques Roegge?